Ravi is a Vice President, Strategy and Projects, at Knowledge Partners International, where he is responsible for defining company strategy and overseeing company’s projects and engagements. 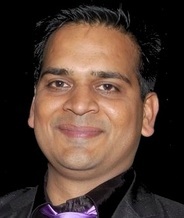 Prior to coming to KPI, Ravi was Business Rules Director at Freddie Mac, Where he was responsible for creating a Business Rules infrastructure using iLog, building Decision Architecture to adopt the MISMO Loan Delivery Spec and leading the effort to create and build the first Business Decision Management System (Sapiens Decision) with KPI and Sapiens. Ravi led several decision modeling engagements throughout Freddie Mac including rollout, training and adoption of Business Decision Management System. He also successfully established Center of Excellence for Decision Models in Freddie Mac to ensure consistent application of Decision Model principles, methodology and tool throughout Freddie Mac. Ravi has over 17 years’ experience in the software industry and has over 10 years’ experience in Mortgage Finance. He is a thought leader in Decision, Process and Business Rules space and has presented at several conferences including MISMO Business Rules Group, Business Process Management Institute, and was a panelist at Business Rules Forum. Ravi completed Leadership and Strategy Execution Program from Tuck School of Business at Dartmouth. He has a Bachelor in Engineering from Nagpur University in India. requirements were captured and communicated between Business and IT. The Decision Model (TDM) was introduced by Barbara von Halle and Larry Goldberg in 2009 when they published their book The Decision Model - A Framework Linking Business and IT (Taylor&Francis, 2009). TDM is a new way to capture, organize, manage, test and author business logic unambiguously. TDM eliminated the guesswork for IT interpreting natural language statements submitted by the Business. This presentation will provide an overview of TDM and explain its profound impact on Business and IT.